On Mac iTunes is a pretty powerful pre-installed media player as you can use it to watch movies online by purchasing or renting movies from the iTunes Store. But as you know, it’s not free. If you already have the DVD of the movies you want to watch purchased, you can actually rip DVD to play on iTunes without having to pay for the movie again. To rip DVD to iTunes Mac users have several different choices. Check out the post to see two different ways to rip DVD to iTunes Mac users could try. 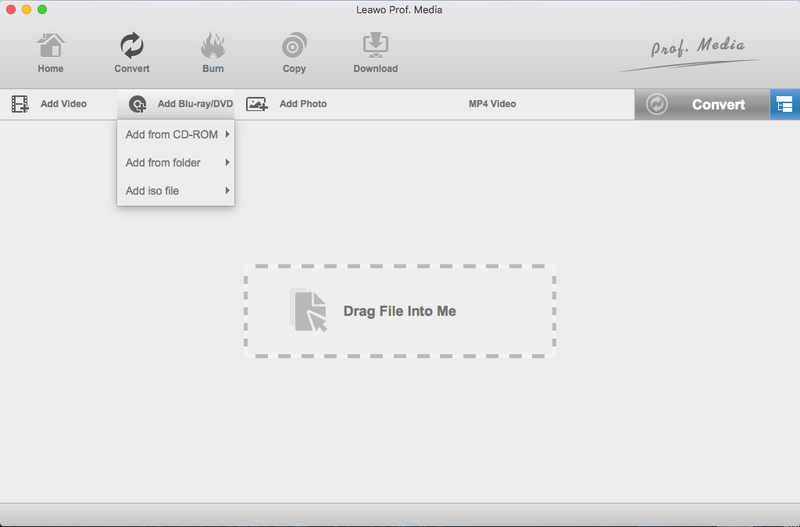 To convert DVD to iTunes Mac users can try using Leawo DVD Ripper for Mac. It’s a powerful DVD ripper that can rip DVD to AVI, MKV, MP4, WMV and a lot other mainstream formats on Mac. If you want to convert DVD to iTunes, you can opt for MP4 as the output format as MP4 is naturally supported by iTunes on Mac. It can rip DVD to MP4 with high quality on Mac. Learn how to rip DVD to iTunes on Mac using Leawo DVD Ripper for Mac in the detailed guide below. Step 1. 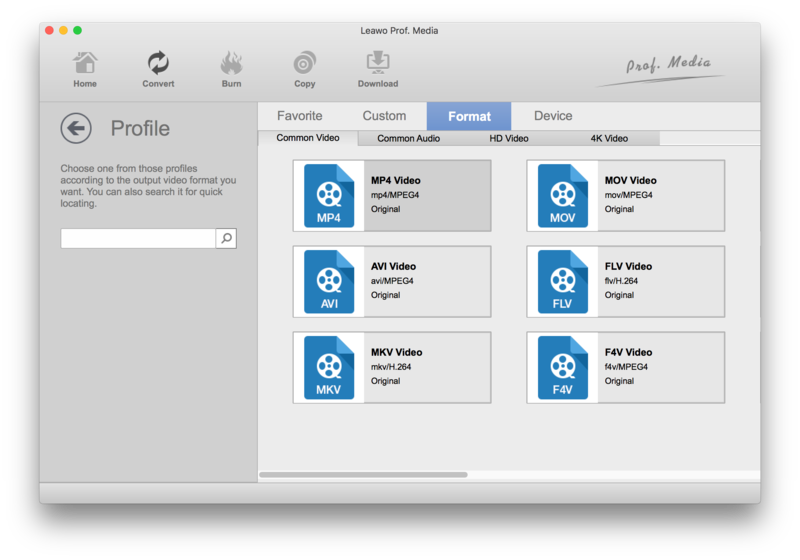 Leawo DVD Ripper is integrated into Leawo Prof.Media. So after installing the program, you will have Prof.Media on your Mac. Just open it and you will see the DVD Ripper shortcut on it. Click the shortcut to launch DVD Ripper. Step 2. If you use a Mac computer that doesn’t feature a disc drive, then you should probably get an external one in order to get your DVD ripped. If you already have one, put the DVD disc into the drive and choose Add Blu-ray/DVD>Add from CD-ROM and select your disc to add to the program. Or you can open the DVD folder in the Finder app and drag the folder to the interface of Leawo DVD Ripper for Mac, that’ll also let you import the disc content to the program. Step 3. The imported videos will be listed on the left. Note that you don’t have to rip them all if you don’t want to. There are 3 modes for you to rip different videos from the DVD. You can use Custom Mode to freely choose whichever videos you need to rip to iTunes. You can also use Main Movie to quickly locate and select the main movie for ripping. Full Movie is for selecting all the videos, not just the movie itself. Click OK to confirm and have the chosen videos added to the video list. Step 4. To create a video that can be played by iTunes, you need to select the right format. As is mentioned previously, MP4 is a good choice for iTunes. You will need to open the format selecting panel to set MP4 as the default output format. First click on the second button from the right on the row of buttons above the video list and then click Change. You should be able to find MP4 once the format list is open. Click on the MP4 Video tab to set MP4 as default output format. On the left side of the Change button, there’s an Edit button you can use to go to the Profile Settings page on which you can adjust the parameters of the format you just select. Step 5. Click the Convert button above the top left corner of the video list and when a sidebar emerges from the right, select a folder on your hard drive to store the output video by clicking the “…” button next to the output directory box. And then you will be ready, you can now click the Convert button at the bottom to start ripping DVD to MP4 and when it’s done, you will have an MP4 video to play on iTunes on your Mac. Another way to rip DVD to iTunes Mac users could try is through the help of MakeMKV and Handbrake. Both programs involved are free so you don’t have to pay a single penny for it. Here’s how you can use them to rip DVD to play on iTunes. 1. 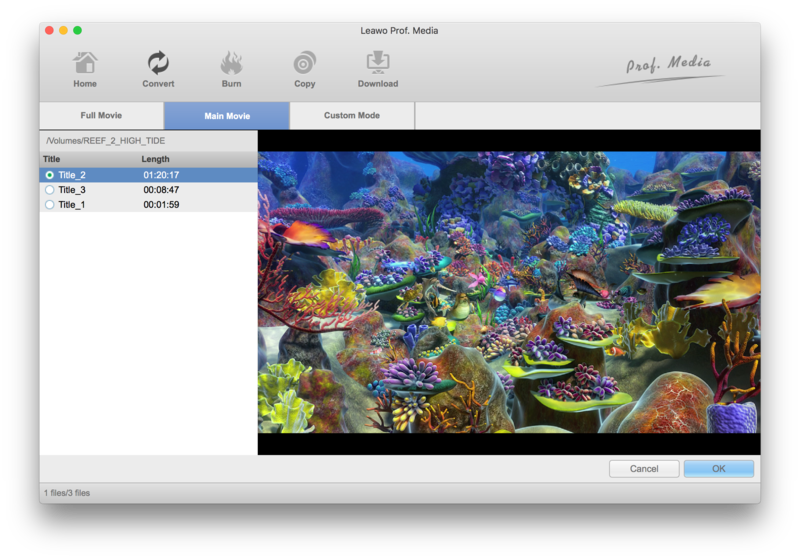 Launch MakeMKV on your Mac. It’s a very compact and simple piece of software. You will have to put the disc in your disc drive first and then MakeMKV will detect the disc. When MakeMKV finds the disc, a disc drive icon will show up in the center. Click on the icon and MakeMKV will start to load all the data in the disc to it. 2. When the disc is fully loaded in MakeMKV, select the videos, subtitles and audio tracks you need from the left column. 3. Set the location of the output video in the Output Folder box on the right. 4. Click the MakeMKV button to start ripping the DVD to MKV. The content you chose in Step 2 will all be packed in the same MKV video. 1. Fire up Handbrake and select Open Source to add the MKV video to Handbrake. 2. Select a preset profile for the output video from the preset list on the left. Basically all the preset profiles will have the output format to be set as MP4, but the parameters like resolution of the video are different. Choose one profile you think is the most suitable and check if the default output foramt is MP4 from the Format box on the left. 3. Set the destination of the output folder under Destination. 4. Click Start at the top row of buttons to start converting the MKV video to MP4 for playback on iTunes. With MakeMKV and Handbrake you can rip DVD to iTunes for free but it would be much more complicated compared with Leawo DVD Ripper. If you don’t want to go through so much trouble, just use Leawo DVD Ripper.